Over the coming weeks the South West coast will welcome millions of visitors as the main holiday season gets underway. The importance of tourism to the regional economy cannot be understated. It contributes an estimated 4.5 per cent of GDP and employs over 180,000 people underpinning a wide range of businesses including accommodation providers, visitor attractions, restaurants and shops all of whom benefit from the tourist pound. However, we need to manage the economic power of tourism carefully to avoid unwelcome, and in some cases unforeseen, social and environmental consequences. Selling the attractions of the South West is not a new phenomenon. The idea that sea air and bathing delivers health benefits led to the emergence of fashionable resorts like Weymouth and Torquay and ultimately the phenomenon of mass tourism which has had such a significant impact on our coastline. 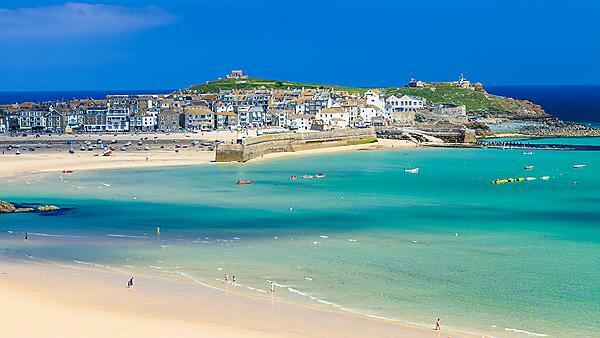 Later, new forms of tourism based on arts and culture and water sports emerged to become part of the ‘offer’ in places like St Ives and Newquay, emphasising the need for continuous reinvention in an increasingly competitive global market. Some places have struggled to adapt to competition in a tourism market driven by low cost air travel and rising consumer expectations. The demand for serviced accommodation – the traditional seaside hotel and guesthouse – has shifted leading to conversion into self-catering apartments and in some cases houses in multiple occupation. This has given rise to a concentration of social problems linked to low pay and seasonal employment as well as benefit tourism. Some coastal communities face similar challenges to those found in inner city areas, yet they have struggled to get the attention of policy makers or to attract resources in an era where economic development funding tends to be allocated based on opportunity rather than need. Elsewhere tourism is flourishing, particularly in places accessible only by road and which did not see the widespread change that was brought by the railways in the 19th century and are valued for their traditional character as small ports and fishing villages. However, the changing nature of tourism puts these communities under pressure as quite simply there is not enough space to go round, particularly in the peak season. Local roads and car parks are operating at capacity and local residents and businesses have to deal with months of inconvenience because of the congestion that arises. More significantly, the qualities which attract tourists makes these places desirable locations to invest in real estate and with a limited stock of property available, because of planning and conservation policies aimed at maintaining the character of these places, values go up. Professor Balch is a chartered town planner and chartered surveyor with experience as a consultant in urban planning, regeneration and development. He has advised on policies and programmes and has worked on the planning and funding of major projects. Professor Balch has developed strategies and plans for the transformation of underperforming places, including major cities and coastal towns. Research undertaken by property agents points to the value of a view over the water with Knight Frank reporting that homes overlooking an estuary attract a 96 per cent premium over similar inland properties. This pushes the price of homes well beyond the reach of local people and while some make a living from construction, letting and property management, many traditional activities and local people are squeezed out. This makes local recruitment difficult, drawing in temporary migrant labour for the holiday season. The social (and political) consequences are self-evident. Some communities are looking to the planning system to protect them and are using their power to prepare Neighbourhood Plans to restrict the building of new second homes but this is only likely to push up the price of existing property and increase the level of redevelopment. It is already happening in places like Salcombe and Noss Mayo where modest houses are being replaced by homes designed in a universal marine style incorporating lots of glass and stainless steel. This appears to be the inescapable consequence of ‘selling place’ as a tourist product in a society where the geographic, social and generational distribution of wealth is so skewed, and where real estate is a repository for the accumulation of individual wealth. Whilst we have seen an attempt to rein in second home ownership through the removal of Council Tax concessions and the 3 per cent increase in stamp duty, which is providing resources for the Community Housing Fund, the only certain way of providing affordable homes for local people is to increase the supply of new houses. There are major obstacles to achieving this – not least the resistance of local communities to change based on their recent experience of new housing development. Quite simply people no longer have faith in the ability of the planning system or private housebuilders to deliver enough housing of the quality and price needed. With coastal communities feeling impotent in the face of such a broken system, there is growing interest in alternative solutions to provide local homes for local people. Community Land Trusts, Co-housing, and self-build schemes offer the prospect of greater control over the assets needed for a healthy community but progress is slow and at times painful. In the meantime there are swathes of caravan parks lining our coastline that are occupied for a few months of the year. Is it not time for planners to start thinking about using some of these to provide the starter homes our coastal communities so badly need?